In recent years a new crop of entrepreneur/freelancer/coach has risen off the back of social media channels like Facebook, Instagram, and Snapchat. These people use social platforms to distribute their knowledge or entertain people and thus attract clients. You share some pictures, write short updates, do live videos, and eventually build a following, then a few people sign up as clients or buy your products. It’s exciting and motivating, but just a day or two later you’re back to where you were – feeling the pressure to make more social media updates to drive more sales. The problem with these platforms is content released there has an incredibly short half-life – it very quickly loses impact. The image you shared on Instagram has almost no impact 48 hours later. The Facebook post you poured your energy into got you some likes, comments, and shares, but less than a day later it’s buried in the timeline. Your live video might have had great engagement, but after a few days, no one else will ever watch it. For me as a long-term blogger, I’ve struggled to understand why pure social media marketers ‘skip’ the blog part of the marketing formula. I wrote a blog post back in 2005 about the 80/20 rule. Thirteen years later and that post still delivers more traffic to my blog than any other post. Can you imagine a Facebook post or Instagram picture delivering that kind of result? Of course not, and it never will. The question you need to ask yourself is why spend so much of your time, energy and money creating content that has such short-term value, especially when there are other options that deliver longer-term results? There was a time during the very early days of my blog where I attempted to write multiple articles a day using a very news-centric style of blogging. I’d report back latest updates from my industry and throw in a couple of my thoughts along with it. These articles might be 500 words long at most, usually closer to 200. In some ways, this is a lot like writing short updates for Facebook today. My blog posts were not long-lasting because they covered content that had little long-term impact. The content would never bring in much search traffic because the articles were so short. This strategy was good to keep my voice active online every day, but it sure was a lot of work. The worst thing was I built no long-term value. I wasn’t creating any kind of content asset in my blog. Because of this I quickly gave up on the news strategy and went back to publishing long-form ‘how-to’ posts, many of which went on to become the foundation for over a decade of consistent free traffic. As you can imagine, it’s a lot easier to make consistent income when you have consistent traffic. While not every article you publish to a blog is going to deliver thirteen years of consistent traffic as several of mine have, if you put the same energy you put into those disappearing social media posts and instead published one long solid pillar article, you’d build something with the potential to deliver long-term results. One of the reasons this is possible is because of Google. Think about it, when was the last time a Facebook post or Instagram story showed up in Google search results as an answer to a query. It doesn’t, and it won’t. Google values long-form content, content that is the best answer to a specific query. Almost all top responses to search queries come from a blog post, YouTube video (YouTube, of course, is owned by Google), a post in Reddit, Quora, Wikipedia or some other kind of long-form article. If you want some of that consistent ongoing free traffic, then you need to publish long-form content on a blog. Best of all, you can make sales of your products and services on autopilot when you write a blog post that day-after-day, is read by people who find it through search and referrals. Almost all of my sales from the past three years have come from people who originally found me through one of my blog posts. If you want consistent income, you must figure out how to bring in buyers without you being there to manually stimulate their interest every time. Social media is great if you want to be part of the conversation, but to make that work you have to keep talking with fresh content every day. Yesterday’s conversation quickly disappears. I’d rather say something once and have people come to it again and again, even while I’m sleeping or traveling the world. That’s the foundation I built the last decade of my #LaptopLifestlye on. You can too, if you decide to build a platform, rather than post ephemeral content to someone else’s platform. P.S. 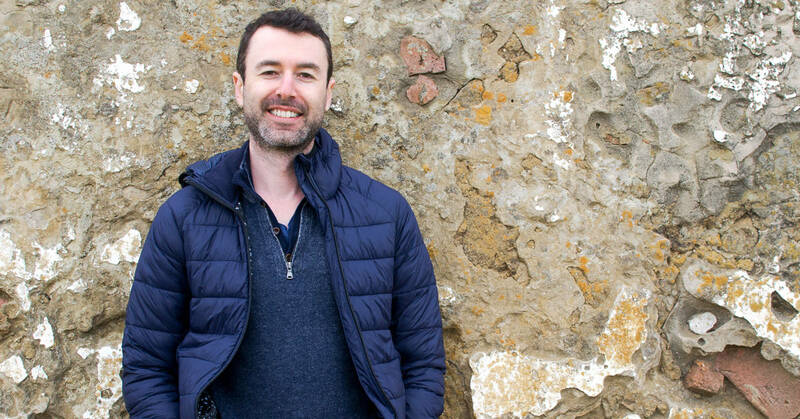 If you are new to creating ‘pillar content’, content that delivers long-term value (and lots of free traffic from Google), which you can build your own platform on, then you must attend my live training. You are right. You cannot rely on social media for traffic or anything else. Yes, it is true such platforms are powerful for traffic (and viral traffic) but you do not own them. So, anything could happen at any moment. But, your blog, you own that and you can benefit from it for a very long time. Thank you for sharing this man! Your blog post is right on time, especially since there is a lot in the news about social media, Facebook, and some others. I’ve decided to write more and produce content on my blog instead of trying to create content for social media. After checking my analytics, I learned that I get more organic traffic to my site in one day, than I get from social media in 3 months. That was an eye-opener because it tells me that I need to focus my time and energy on my website and not spend a lot of time on social media. Hi Evelyn! Yes, Yaro has definitely helped to stir me into the right direction. I was feeling a little overwhelmed with the prospect of spending time social media. If you don’t mind me asking, what is the focus of your blog? Right now, I have two that I am contemplating building back up. One focuses on wealth and development via affiliate marketing and the other is more product based, focused on African beauty (soaps/oils) and clothing products. I would like to do both, but I know I probably need to pick one and stick with it for a while. Anyway, I just wanted to reach out and share! Have a great evening! Excellent reminder, Yaro. Thank you! 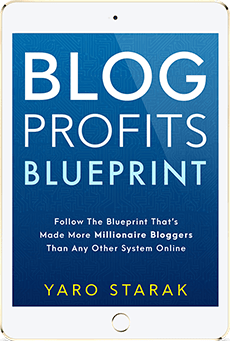 I read through Blog Profits BluePrint and listened to it on audio as well and you mentioned the importance of writing and producing “evergreen content”–content that stands the test of time, that will be relevant in the current marketplace and in the future marketplace as well. Excellent idea. Thank you, Yaro, for your terrific advice. I’m a writer & musician, currently living in Brooklyn, NY, setting up website content to earn money online with the sales of my ebooks. Hey Kris, thanks for reading and I’m glad to hear my point got across all the way to New York! That’s an insightful post from you Yaro and I’m really loving it. Social media can be double edged sword it can help your business and also kill your precious time if you are spending too much time on it without getting anything done. I know there are so many bloggers especially the beginners who use social media sites like Facebook, Twitter, Instagram etc to get more visitors to their sites but they rarely spend quality time on this platforms and they often get distracted from the work. And that is the problem with social media sites where you will be wasting your time instead of focusing your time on creating blog posts or videos or interacting with other bloggers in your industry to build a profitable blog in the long run. I am also one of the very few bloggers who is not at all active on social media sites because I know that they are destructive more than help. Thanks so much for the lovely reminder Yaro, keep posting more. Thanks Yaro! I have recently made the decision to get back into blogging / affiliate marketing and have been feeling a little overwhelmed with where to start! Until I read this post, I was convinced that I would have to commit myself to creating videos and frequent post to twitter, FaceBook, etc. I currently work full time and single mom of 14 month old, I was wondering were I would find the time to do all of that! So your post has saved me some valuable time and given me something more specific to focus on, and that’s my own written content, which I can definitely do! The problem with writing what you call “evergreen” blog content is picking a topic that will DEFINITELY bring you perpetual traffic. I have posted countless blog posts relating to my chosen genre, horror books and films, and yet I am lucky if I get even 20 views of that blog each day.